For better or worse, Republican Senator and one-time presidential candidate Marco Rubio isn't about to let the Democrats own the fight to curtail one of the most flagrant examples of post-crisis corporate excess. And if he can carve out a niche for himself that might one day help him credibly pitch himself as a populist firebrand, much like the man who went on to claim the presidency after defeating him in the Republican primary, well, that sounds to us like a win-win. To that end, the senator from Florida on Tuesday unveiled a proposal to limit corporate buybacks. Unlike a plan pitched by Bernie Sanders and Chuck Schumer earlier this month, Rubio's plan would seek to end preferential tax treatment of share buybacks, by decreeing that any money spent on buybacks would be considered - for tax purposes - a dividend paid to shareholders, even if individual investors didn't actually part with any stock. According to CNBC, the plan calls for every shareholder to receive an imputed portion of the funds equivalent to the percentage of company stock they own, which, of course, isn't the same thing as directly handing capital to shareholders (it simply changes the tax rate that the company buying back the shares would pay). Ultimately, Rubio hopes that these changes would discourage companies from buying back stock. Those companies that continued to buy back shares would help contribute to higher revenues by increasing the funds that can be taxed, while also raising the rate at which this money can be taxed. Any tax revenue generated by these changes could then be used to encourage more capital investment, Rubio said. 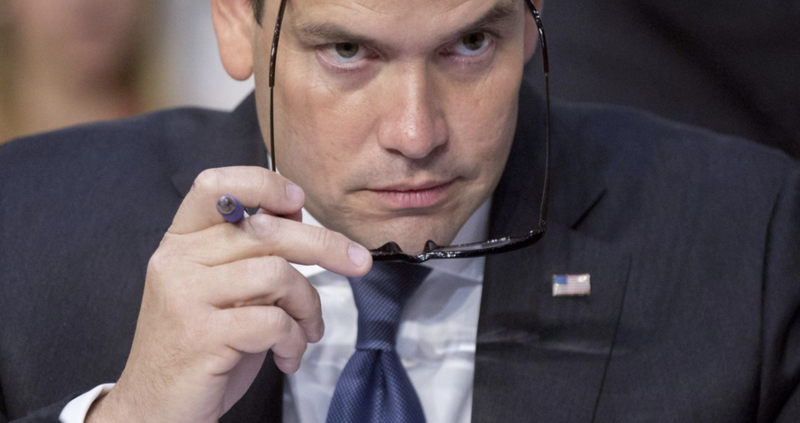 As part of the proposal, Rubio would make a provision in the tax law that allows companies to deduct capital investment permanent (that provision is currently set to expire in 2022). But before lawmakers take their next steps toward regulating how and when companies should return excess capital to shareholders, they might want to take a look at a column recently published by WSJ's "Intelligent Investor" that expounds a concept called "the bladder theory." Overall, however, buybacks (and dividends) return excess capital to investors who are free to spend or reinvest it wherever it is most needed. By requiring companies to hang onto their capital instead of paying it out, Congress might - perhaps - encourage them to invest more in workers and communities. But the law most likely to govern here is the Law of Unintended Consequences. The history of investment by corporate managers with oodles of cash on their hands isn’t encouraging. Hugh Liedtke, the late chief executive of Pennzoil, reportedly liked to quip that he believed in "the bladder theory:" Companies should pay out as much cash as possible, so managers couldn’t piss all the money away. That companies bought back a record $1 trillion worth of stock last year while employers like GM slashed jobs and closed factories has stoked criticisms of the Trump tax cuts, but as the gulf between the rich and the poor grows ever more wide (a phenomenon for which we can thank the Federal Reserve and other large global central banks) it's worth wondering: facing a simmering backlash to one of the most persistent marginal bids in the market place, have investors already become too complacent about proposals like Rubio's? We ask only because the Dow soared more than 350 points on Tuesday, suggesting that, even as Rubio added a bipartisan flavor to the nascent movement to curb buybacks, investors aren't taking these proposals too seriously - at least not yet.